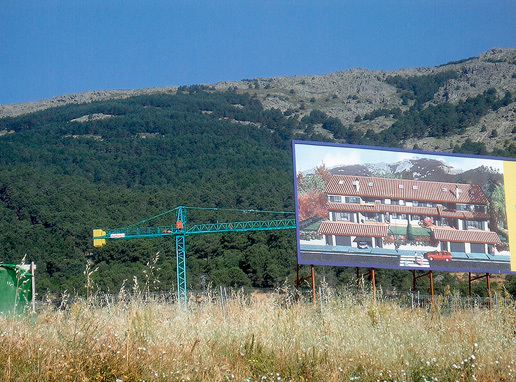 A collection based on the actions of the San Lorenzo de El Escorial citizens’ group against the construction of massive numbers of semi-detached houses in Mount Abantos. The group was active for a year and a half and had 80 members; it published three declarations, one SOS publication, and produced shirts and stickers. The group did not achieve its objective of stopping the construction of the buildings that extended Unamuno Street, many of which were never sold when the financial crisis hit in 2008.